Completing recitation of the Qur’an at least once in Tarawih can be shown to be recommended (mustahabb). This article discusses the basis for this ruling, and concludes with some practical notes and advice. Ramadan is the month of revelation of the Qur’an [Qur’an, 2:185], and a month for more intensive recitation and study of the Qur’an. The Prophet (may Allah bless him and his Household and grant them peace) used to meet Angel Gabriel (peace be upon him) every night, and they would study the Qur’an [Bukhari]. Another narration tells us that the Prophet (may Allah bless him and his Household and grant them peace) would go over the entire Qur’an with him once every Ramadan, and that in the last Ramadan of the Prophet’s life, they reviewed the entire Qur’an twice [Bukhari, Muslim]. Hence, it is sunnah to recite or listen to the recitation of the entire Qur’an at least once during the month. Imam Ja`far al-Sadiq is reported to have allowed finishing the Qur’an only once a month outside of Ramadan, but once every three days in Ramadan. [Wasa’il]. Recitation does not necessarily have to be in tarawih, although recitation in salah is generally held to be more meritorious than recitation outside of salah. Nevertheless, tarawih itself could be performed even with recitation of short surahs, even every day, if need be. It is reported that Caliph `Ali ibn Abi Talib led the tarawih reciting 5 verses in each rak`ah. [Yahya ibn Hamzah in al-Intisar], which would mean approximately half a juz’ was recited per night. [Twenty rak`ah were performed each night during Caliph `Ali’s time, as we find in the Musnad of Imam Zayd ibn `Ali and elsewhere]. Rabi`ah, the famous teacher of Imam Malik, observed that in the past, not all the imams of tarawih had memorized the entire Qur’an [Mudawwanah]. Certainly, if there are time constraints, whether on the community (such as during summer tarawih in extremely northern latitudes, where the night is extremely short) or on the individual (who has work commitments, for example, or who is praying alone and has not memorized long surahs), then it is valid to shorten the tarawih recitation in this manner, and the sunnah of finishing the Qur’an could be accomplished outside of salah. In the absence of such constraints, the preference is for prolonged recitation in the optional night prayer. There are further textual indications that make a case for completion of the Qur’an in tarawih being a sunnah. We know that in general, throughout the year, the Prophet (may Allah bless him and his Household and grant them peace) used to stand in prolonged prayer by night, to the extent that his feet would become swollen [Bukhari], or torn [Tirmidhi]. The Mother of the Believers, Aishah, was asked about his prayer by night, and she replied that he would offer 8 rak`ah every night – but do not ask about how long and beautiful they were [Bukhari]. There are also narrations that the Prophet (may Allah bless him and his Household and grant them peace) would exert himself even harder in the last ten nights of Ramadan [Muslim], when he might stay awake all night [Bukhari]. Given these descriptions of the Prophet’s (may Allah bless him and his Household and grant them peace) night prayer, we can easily conclude that he must have completed recitation of the Qur’an at least once during the month in his night prayer. In addition to this enacted sunnah of the Prophet, we also find an authentic hadith of verbal encouragement for long recitation in salah. If authentic then this indicates that they were praying with the specific aim of hearing the entire Qur’an, for Ubayy had memorized the Qur’an, whereas not all of the other Companions had. The precedent set by the Prophet (may Allah bless him and his Household and grant them peace) was continued by his Companions and subequent generations after him. In every generation, there are many Muslims who have not memorized large portions of the Qur’an, and who therefore seek to benefit from hearing it being recited by others. Hence, the Companions would gather in small groups in the masjid, each group praying behind a reciter/memorizer. This was the state of affairs that motivated Caliph `Umar ibn al-Khattab to gather people in a single congregation, reviving and institutionalizing the congregational aspect of the prayer that had only been performed on a couple of nights by the Prophet (may Allah bless him and his Household and grant them peace) himself [Bukhari, Malik]. `Umar appointed Ubayy ibn Ka`b to lead the men and (according to one narration) Tamim al-Dari to lead the woman in salah, because they were both memorizers of the Qur’an. The more authentic narrations tell us that the Companions would perform 20 rak`ah every night. Some narrations also point out that the recitation was long, to the extent that people would even tend to support themselves with sticks towards the end, due to the length of standing. [Recorded by Bayhaqi, and authenticated by Nawawi and others] Bayhaqi has also recorded a narration [I have not found discussion of, nor looked into, its authenticity yet] which states that Caliph `Umar summoned three reciters, and had them recite before him. Then, he told the fastest one to recite 30 ayat in each rak`ah, the medium-paced to recite 25 ayat in each rak`ah, and the slowest to recite 20. Even with 20 ayat per rak`ah, and 20 rak`ah, the Qur’an would actually be finished twice over a month. In the face of all of this, it is inevitable that they would be completing recitation of the Qur’an at least once during the month. `Umar ibn `Abdil-`Aziz told the Taraweh leaders to recite 10 ayat in each rak`ah (which would lead to completion of the Qur’an once over a month) [Mudawwanah]. Imam al-Bukhari used to lead his companions in tarawih reciting 20 ayat in each rak`ah until they completed the Qur’an [Reported by al-Hakim]. Some of the imams of fiqh (Malik and Ahmad) permitted reading from the mushaf in tarawih, even if they did not normally permit it, due to the importance they saw in completing recitation of the Qur’an in tarawih. This emphasis actually can be traced back to the Companions. The wife of the Prophet (may Allah bless him and his Household and grant them peace) Ummul-Mu’mineen Aishah (who would have her servant Dhakwan lead her in tarawih from the mushaf) [Cited by Bukhari as ta`liq]. 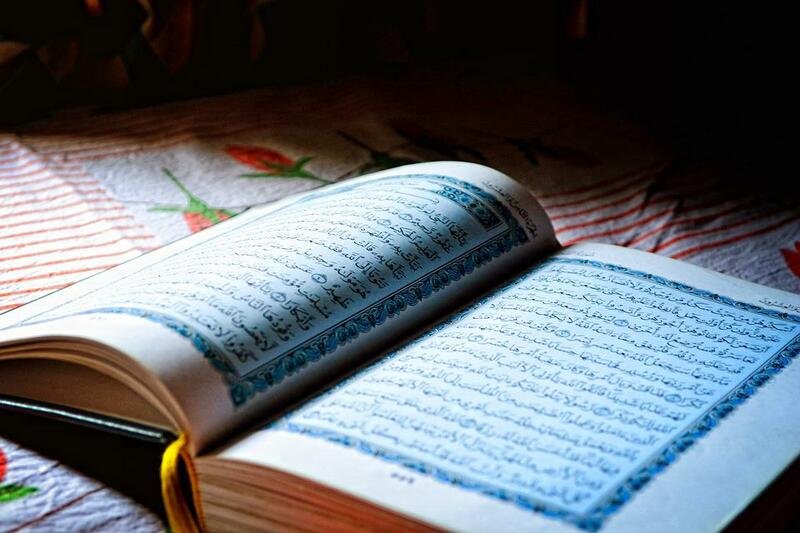 Imam al-Zuhri of the Tabi`in said, “[Some of] the best of us used to recite from the mushaf [in Ramadan].” These scholars would not have conceded permissibility of reading from the mushaf had completing the recitation of the Qur’an in tarawih not been a sunnah. In summary then: Ramadan is the month of the Qur’an, the Prophet (may Allah bless him and his Household and grant them peace) would go through the entire Qur’an during Ramadan with Gabriel (peace be upon him), and we also know he would stand in prolonged salah by night. The Companions continued upon his path, and the practice of completing the Qur’an at least once in tarawih every year continued to be handed down through the generations. This practice has played an important role in the oral preservation of the Qur’an. 1) It is not necessary to complete the Qur’an inside tarawih, so if it is a personal or communal hardship to do so, then the tarawih can be made shorter. 2) Completion of the Qur’an is not the sole aim of tarawih. Some mosques hold ‘marathon’ tarawih sessions in which the Qur’an is completed within the first ten nights or less (3 juz’ per night). This is well and good, but those who attend should not be doing so with the aim of ‘getting the khatm done’ and then neglecting tarawih (or performing it with extremely short recitation) for the rest of the month. Nor should the recitation ever be so fast that the letters and words are not properly pronounced. Those who complete the tarawih khatm a few nights before the end of Ramadan are encouraged to avoid the temptation to thereafter perform tarawih with only the last 10 surahs each night (especially if they are able to recite other verses). There is no harm in shortening the duration of the tarawih if circumstances call for it, but the sunnah is actually to increase the volume of worship in the last ten nights, in search of Laylat al-Qadr (the Night of Destiny / Value). Even the 27th night of Ramadan, although considered very likely by many scholars is not guaranteed to be Laylat al-Qadr.